There’s a sense of utter rebellion when tuning into a pirate radio station; the unregulated airwaves and the uncharted territory of hearing some of the most underground music that creeps under your skin. The same can be said for Pirate Stereo, a solo DJ/producer/music-aggregator under the guise of Eyal Agai, who has infiltrated the Miami nightlife holding the dance floor hostage with his signature mixes of house, techno, electro, indie and all of the above. There’s nothing containing Agai’s ability to hone in on today’s best and brightest sounds placed right next to a classic Pink Floyd record. Born in Mexico City, Agai found himself naturally attracted to music, picking up the guitar at a young age. He later found himself attending the prestigious Berklee College of Music in Boston. Fast forward to the present. 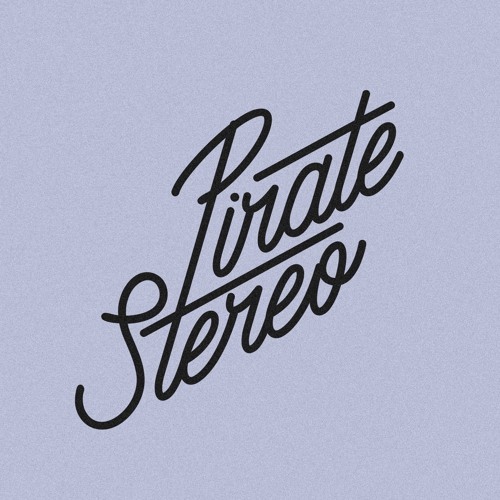 Pirate Stereo is riding solo. Still producing on occasion but mostly focusing on his innovative DJ sets, Agai has his hands in many musical pots. From being one of Miami’s most sought-after influencer DJs to promoting the city’s best notorious deep-house party,Slap & Tickle, to, serving as programing director for Carnaval de Bahidora -an annual music festival in the rainforest of Mexico- Agai is, no doubt, a rebel with a cause. His main purpose is simple: spread the gospel of good music by any means necessary – through commercial radio or pirate stereo – because in this life, all good music will always prevail.